Format credit goes to xpaperclip. What a baws. The qualifiers is a place that I obviously have to get through. I will also get through Code A no matter what and head over to Code S.
How did you feel when you got eliminated back to the qualifiers last season? All I could think of was that I wanted the next season to hurry up and arrive. I will not fall down to the qualifiers ever again. I hope people will keep watching me. Even though you are performing well for Proleague, why do you feel that you are not doing so for individual leagues? I think it’s because I am lacking in skill. Even people around me ask me why I’m in the qualifiers. When I look back on it, I think I was lacking in preparation last season. So I want to advance far for this season. It will be an arduous road for you to get to the Global Finals. What are your goals this season? For now, I want to break my quarter-finals jinx rather than aim for the championship since I have never gone to the quarter-finals before for GSL. For some reason, you were always placed into the group of death whenever you would play in the Ro16. Since groups are now picked through a lottery system, I think I’ll be able to humbly accept whatever group I get placed in as long as I stay calm. Recently, there was an announcement of a potential patch that could buff Terran. What do you think about it? The problem with Terran is that our mid-game/late-game is weak. I wish they would fix that specific area but it doesn’t look like this particular patch will cater to that. But at least for now, if it does go through then I think it will end up being good for us. 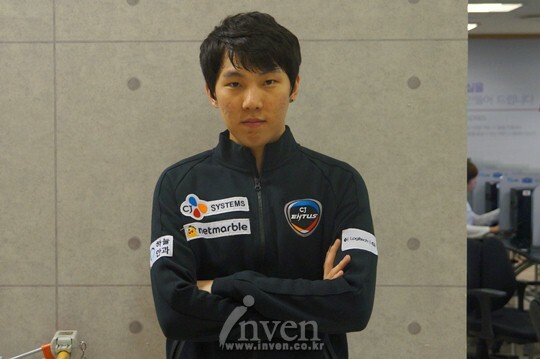 Protoss players and Zerg players are saying that the patch is too beneficial for Terran. My personal opinion is that it doesn’t really matter what the players say. Regardless of what happens to the game, it’s the tournament results that will determine everything. You were unable to secure the Proleague most wins record by two wins. Was that disappointing? It is disappointing, but since there is still the post-season playoffs left, I will put all my strength and energy into there. I will never come back to the qualifiers. I will work hard so that I can stay at a high place. How do you feel about advancing to Code A? I came to the qualifiers today with a very uneasy mindset. As expected, the journey to advance through was very difficult. But I am also glad that I was able to get through. Your recent results have not been the best. Why do you think so? I’m sure many of the fans are wondering how my performances have been coming along since I haven’t been playing for Proleague these days. My TvZ and TvP are not doing that badly. My problem is TvT, and I had a hard time today because I had to play a lot of TvTs for today’s qualifiers. You must have felt a lot of pressure for this season’s qualifiers as well. The pressure was huge. But I am relieved that I was able to advance through in the end, and even though I always say this, I don’t want to come back to the qualifiers ever again. First off, getting to Code S will be my goal. 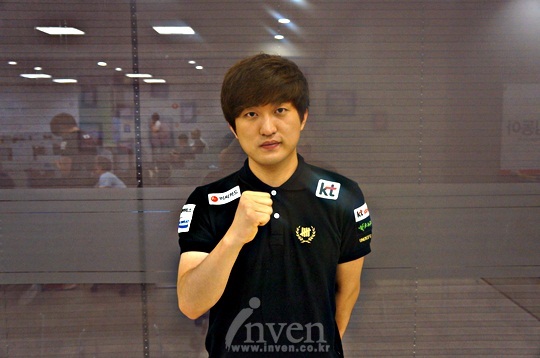 I was really envious of my teammates last season since so many of them made it into Code S. So I will work hard so that I can make it to Code S for this season no matter what. After Proleague ended yesterday, manager Oh Kyung Shik treated us to something delicious. We had king crab and lobster and it was so delicious. I think it had something to do with me being able to advance through (laughs). Also it was my birthday yesterday and a lot of people wished me a happy birthday. I am really grateful for that. You returned to Code A after three season. This must be a new feeling for you. I had some personal problems. I didn’t even know the maps for the qualifiers well but I got lucky. You’ve returned to the gaming scene but why did you retire for a bit there? I acted rash. All I could think about was that I wanted to take a break. But after I took my break, I started thinking that I wanted to come back. 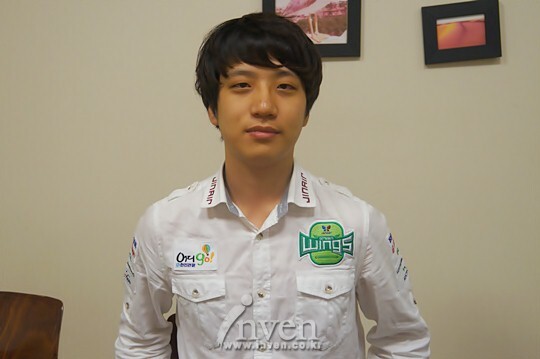 You returned by joining Jin Air and not by going back to StarTale. Were there any difficulties adjusting? The practice regime was not so different from StarTale’s. 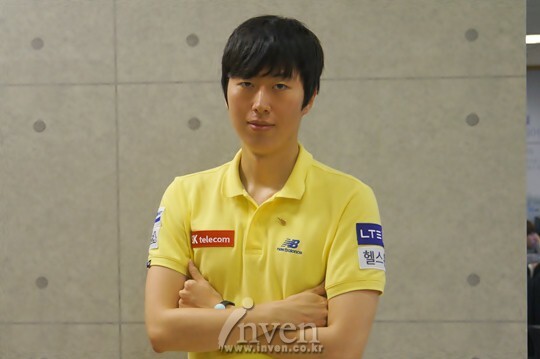 However, I acted rash so I got scolded a lot by my Jin Air teammates. You haven’t been sent out for Proleague yet. Was that painful? My teammates’ skills are all prominent. So it’s obvious that I wouldn’t get sent out. You were able to advance through the wild cards. How did you control your condition? I always feel tired. Since I always maintain a tired state so that I can keep up with practice times, it was fine (laughs). Your opponent was MarineKing. It must not have been easy. I’m close with MarineKing hyung so I knew his style well. That part was huge. I have never been to Code S Ro16. I want to make it there no matter what. The format changed for this season. Are you confident? I think the changed format fits me better. Even though you had a blank period, what are your current skills like? 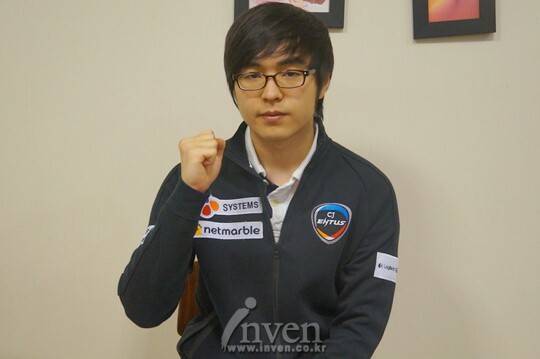 I can’t really remember all the good concepts that I learned from StarTale (laughs). But I think I’ve recovered a lot as of now. I want to thank the coaching staff, my teammates, and my fans. I want to apologize to MarineKing hyung. Also, there seems to be a lot of people who still don’t know that I’ve returned. I hope they know by now (laughs). How do you feel about being able to advance to Code A two seasons in a row? I always have the mindset that I’m going to get through the qualifiers. I think that the upcoming Code A matches are going to be important. Compared to your performance during the start of Proleague, you did not finish well. It was really disappointing. I’ve been performing poorly as of late but I felt that my skills had improved based on my feeling and the results of inner rankings. But it was disappointing because the end result was not good. Your confidence is amazing. How do you think you’ll do for this season? I think I’m perfectly capable of making it Code S if I can just perform like I do for practices. How do you feel about the most recent patch announcement? A Terran buff announcement is welcoming. But TvP late-game is terrible. Rather than a balance patch, I think Terran needs some kind of new unit that can be utilized for late game scenarios or we need something that can help us grab the game definitively. People around me have expressed a lot of concern for me because I haven’t been performing as well for Proleague lately. But as far as I can tell, my skills have increased and I think I’m going to be able to show a better form from here on out. I hope people will keep watching me. For a while now, there haven’t been any splash performances from you. I think whatever I say will be taken as an excuse. I just didn’t play well. So I’m working hard right now. I always say this but the goal is the championship. But my first and foremost goal is to get past the Ro16 since I have never done that before. 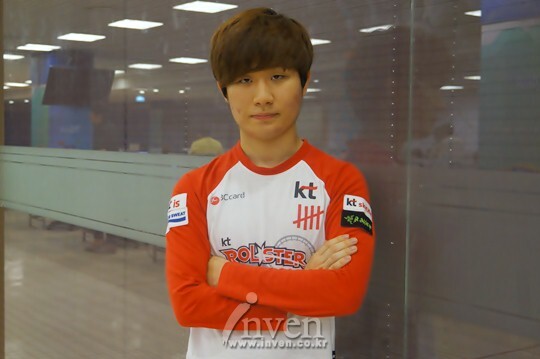 I will work hard so I can establish good results for both Proleague and individual leagues. I never want to come back to the qualifiers. I was happy when I was in Code A. Was there anything difficult about the qualifiers? My match against Pet was difficult. He has great macro and he’s a very aggressive player so it was cumbersome to play against him. Your recent momentum has not been good. All in all I think that it’s taken me a long time to adapt to all the Protoss nerfs that have been going on. I think I’m just about finished with adapting. I will make sure we advance to the post-season playoffs for Proleague and show a good form. Right now my WCS points are really low. I will win the championship no matter what so that I can advance to the global finals. I am sad that Protoss got nerfed so much. PvZ is especially difficult so I am hoping Blizzard with stop patching. Fantasy Sora TY and Flash! Thanks for your hard work as usual Seeker! Fantasy´s gonna put everyone to sleep, yo. I'm curious what alive and avenge have to say. Flash, FanTaSy, Dear, TY, RorO. Flash, TY, aLive and FanTaSy please! Flash, Stats, hyvaa, aLive! Oh, and Dear. Avenge cure panic and flash.